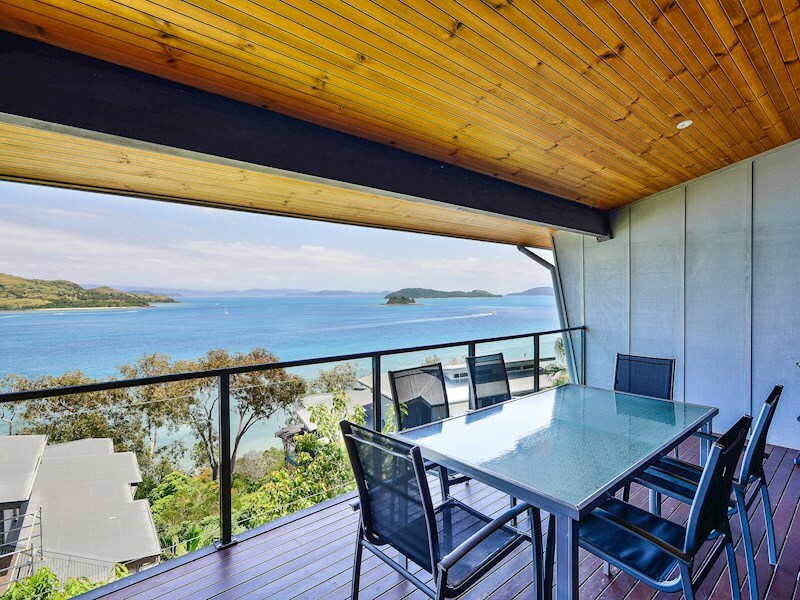 Bright, two-bedroom apartment with spectacular views. 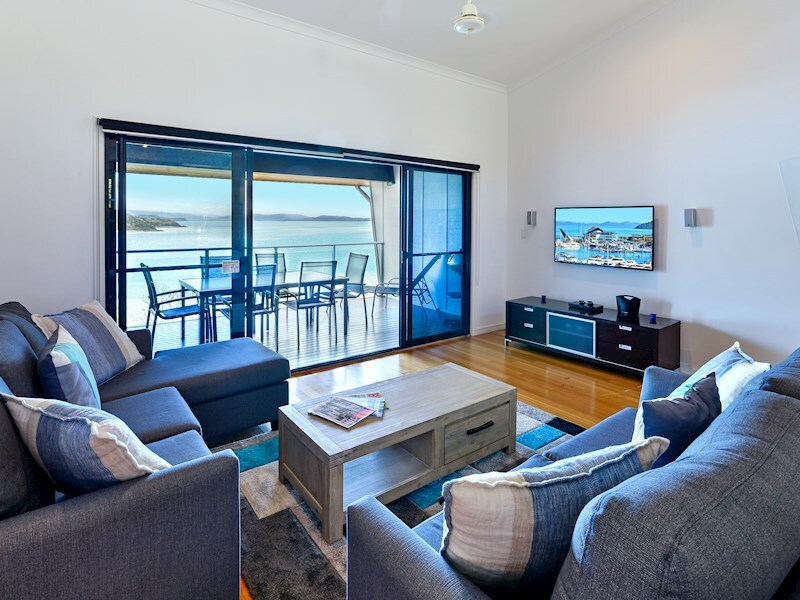 Ideal for couples or small families, this bright, two bedroom apartment is conveniently located near the marina and boasts beautiful views over Dent Passage, as well as a shared 25m wet-edge pool. 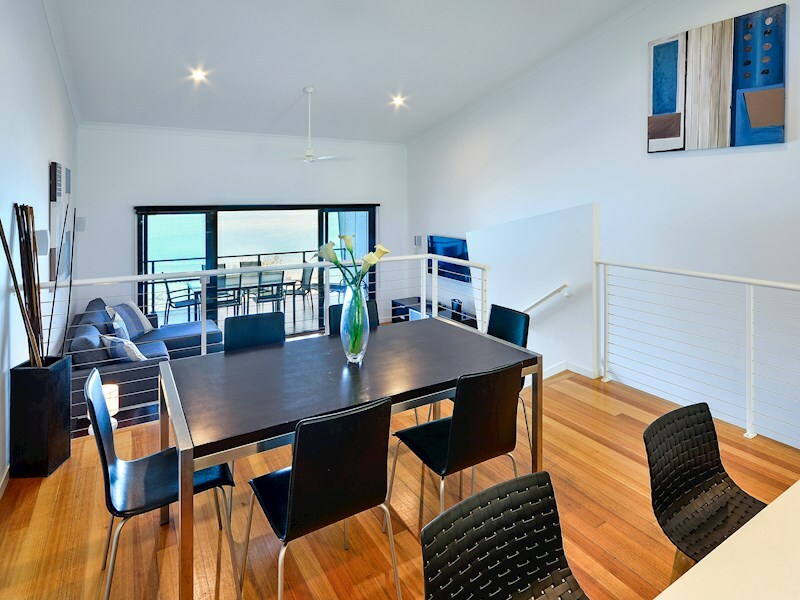 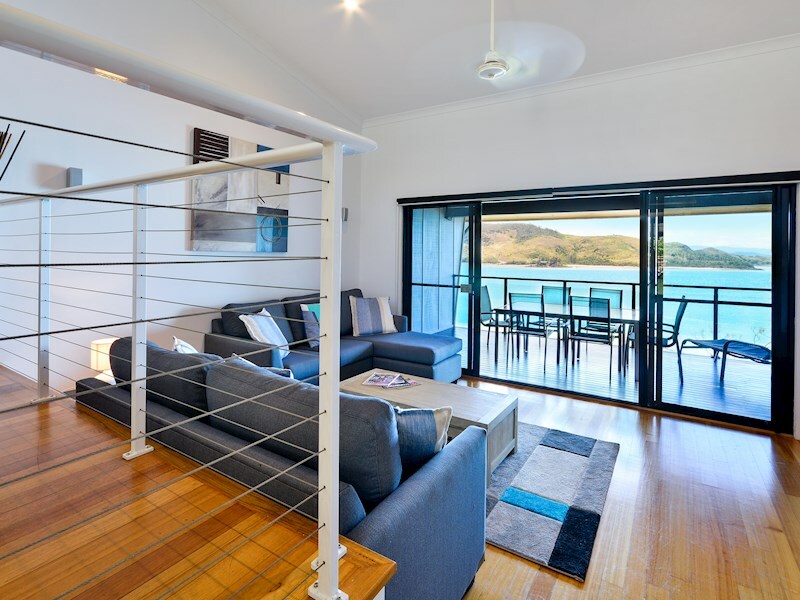 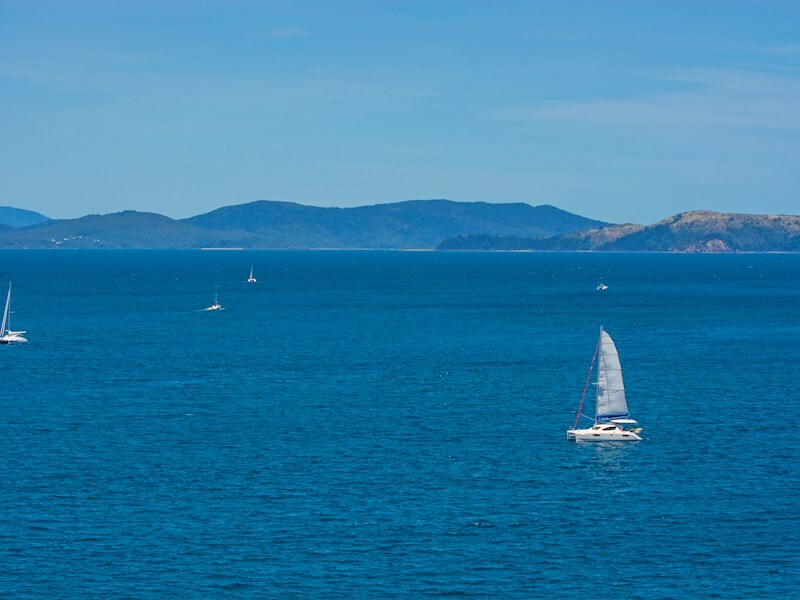 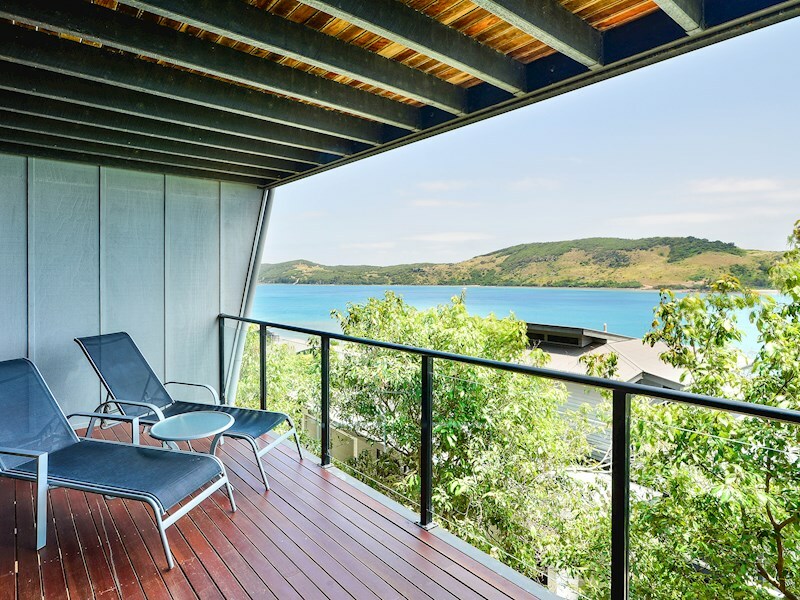 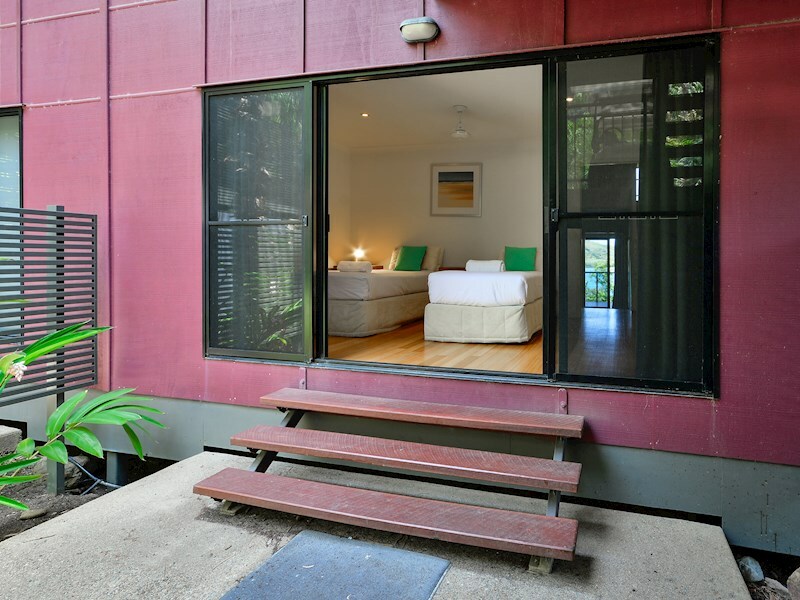 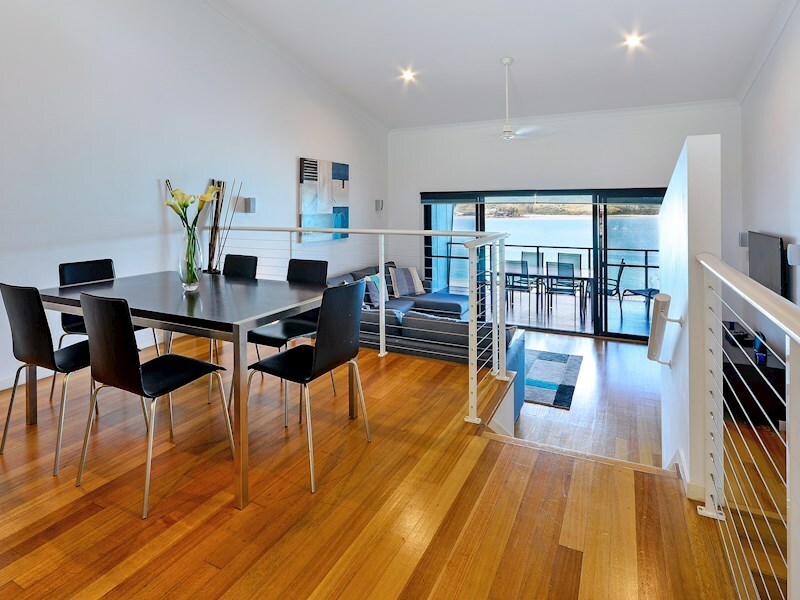 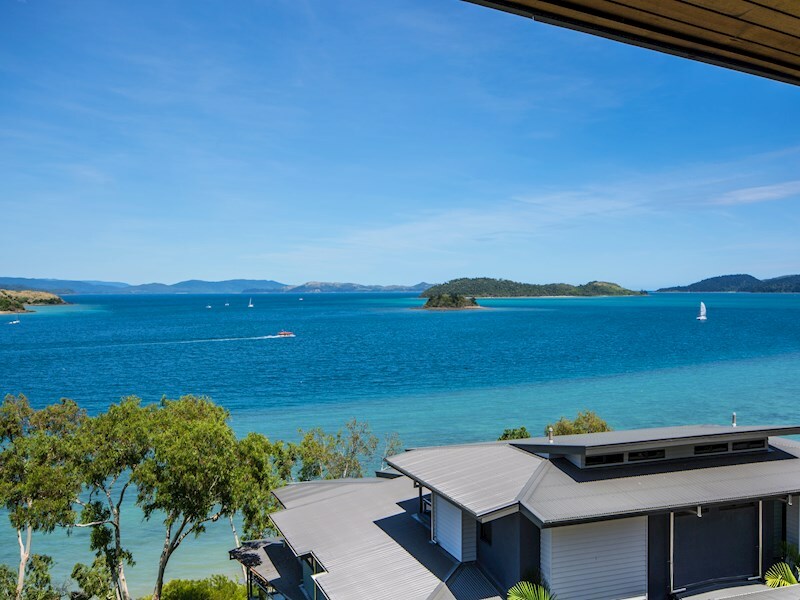 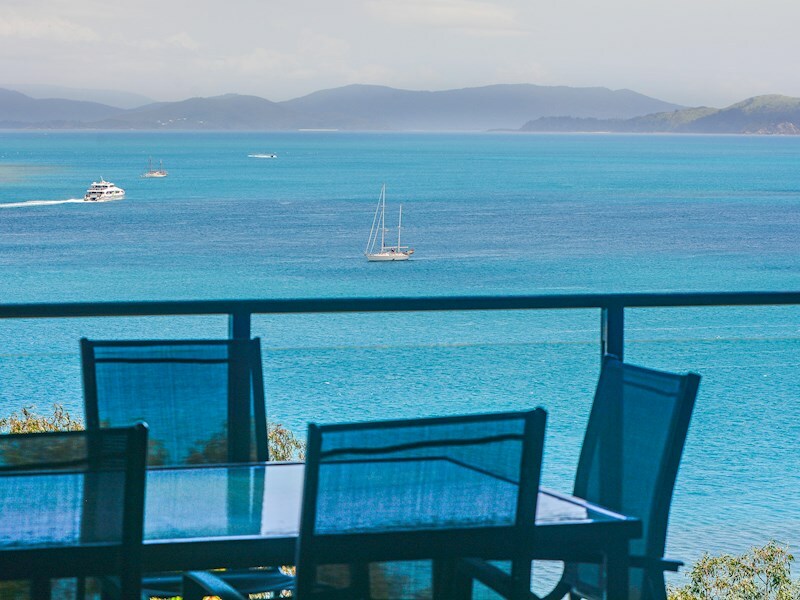 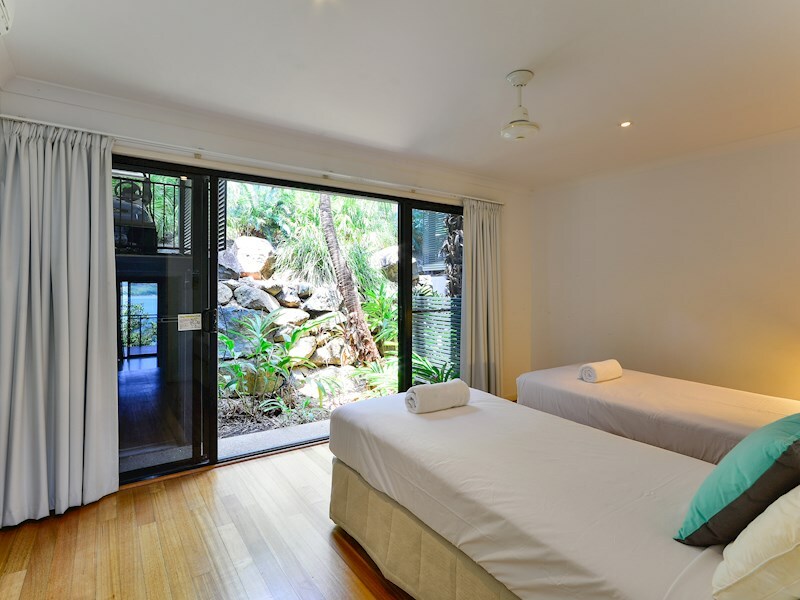 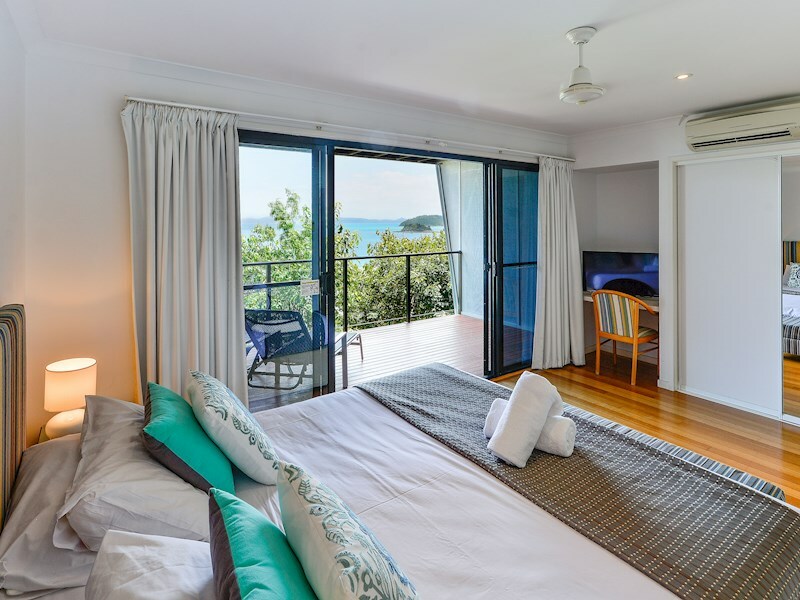 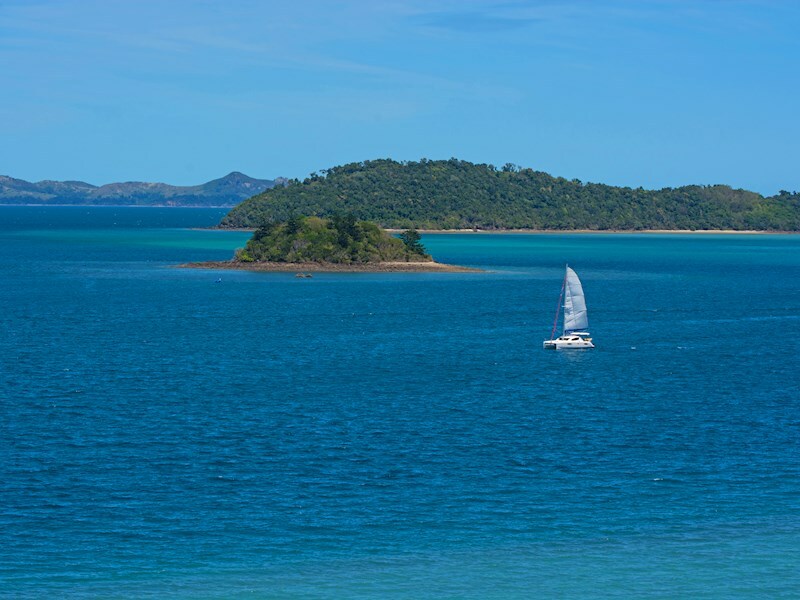 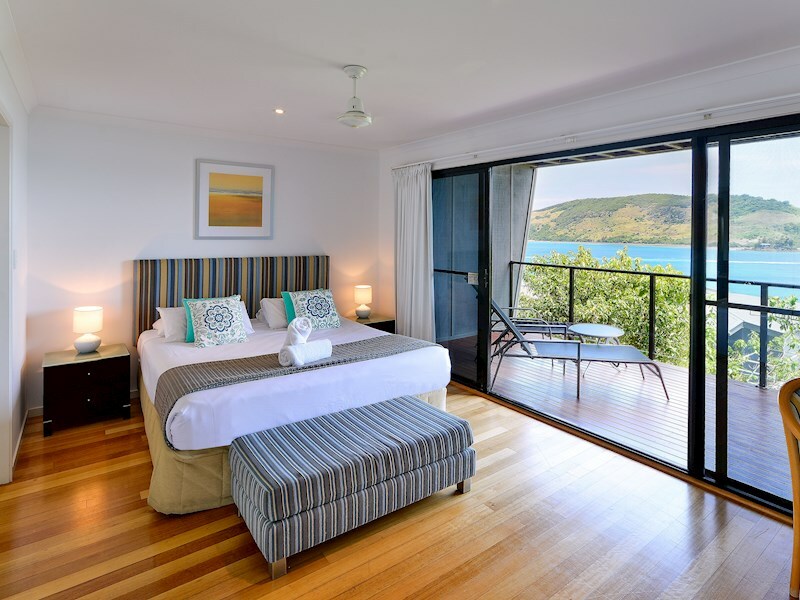 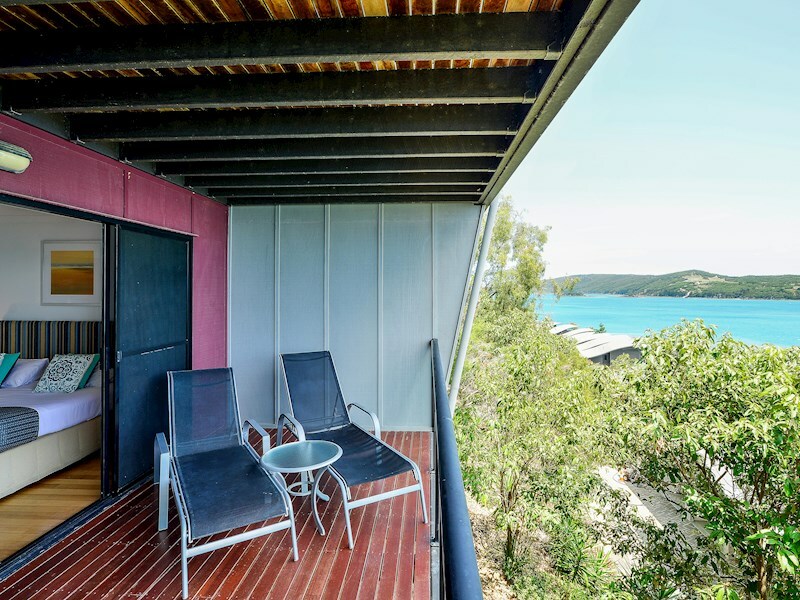 Relax on either of your covered outdoor balconies and admire the turquoise Whitsunday waters. 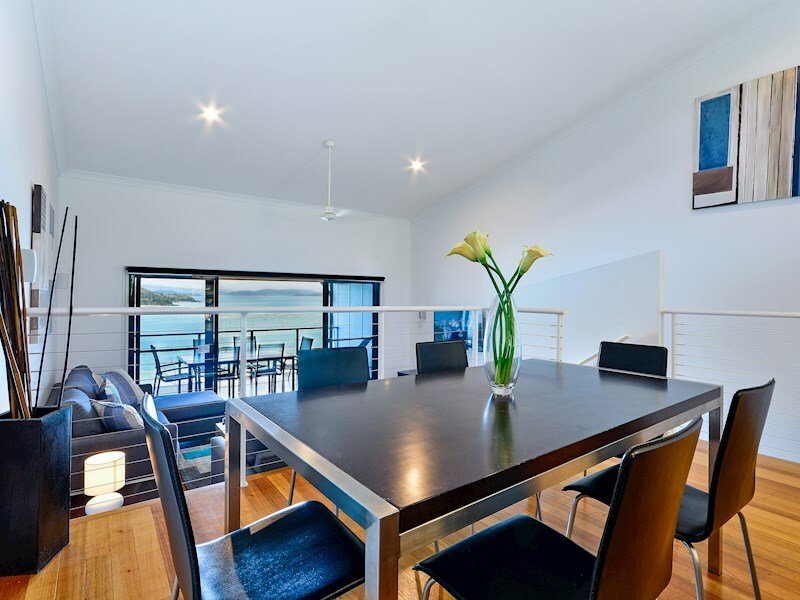 The main balcony has a dining table for six people. 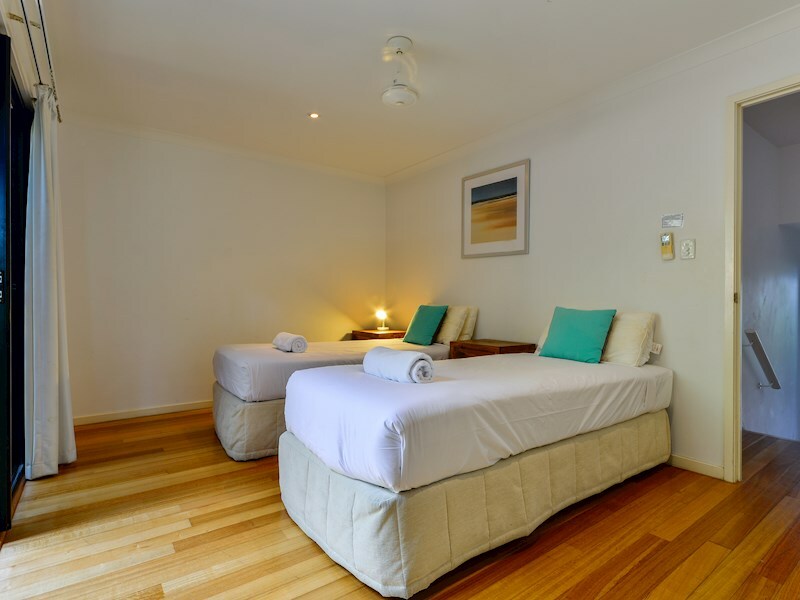 The main bedroom has a non-split king bed and the second bedroom has a split king bed. 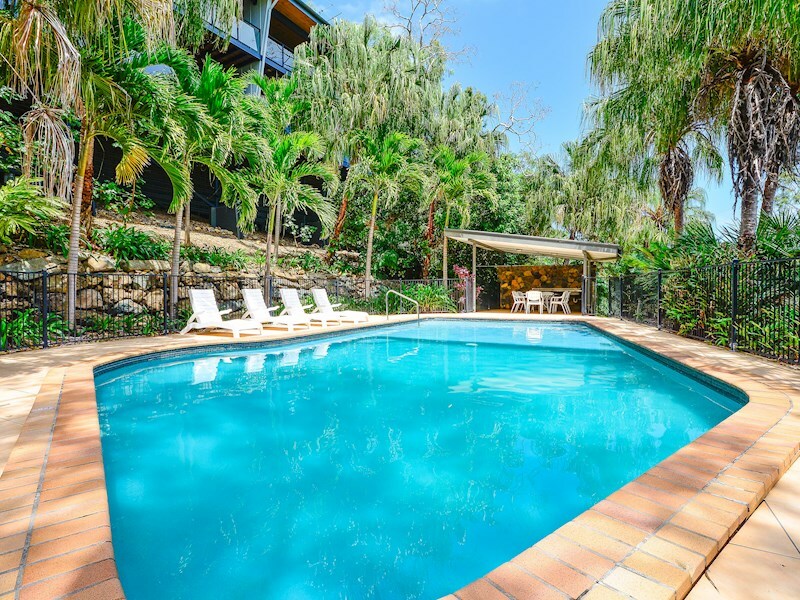 As a guest of the Shoreline apartments, you have access to the complex's 25m wet-edge waterfront pool, as well as two spas and entertaining areas. 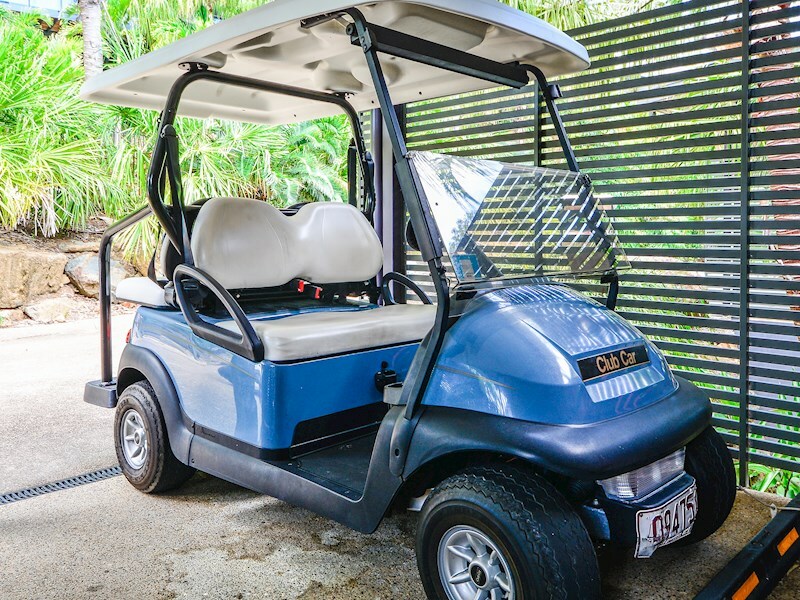 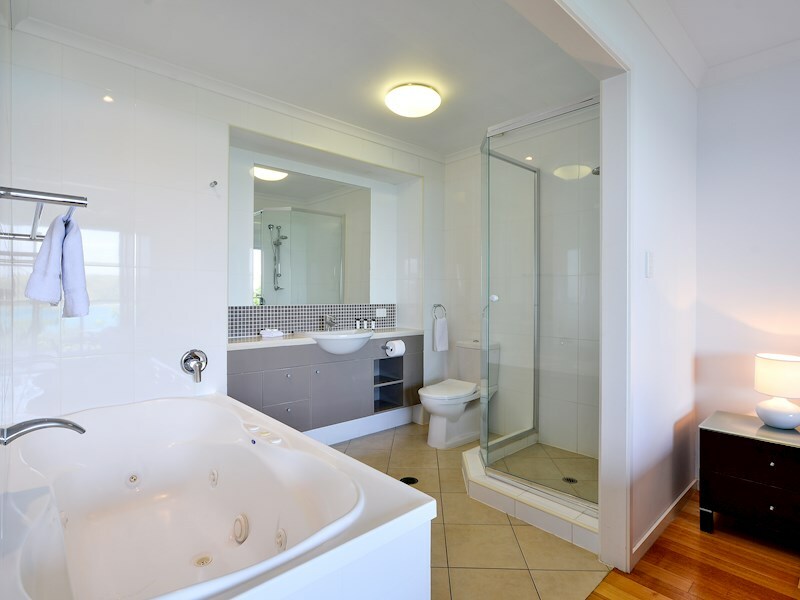 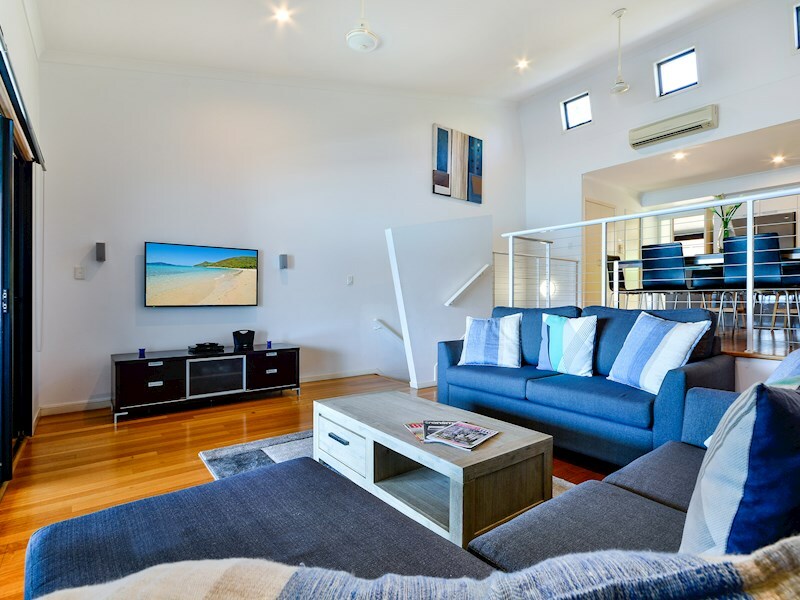 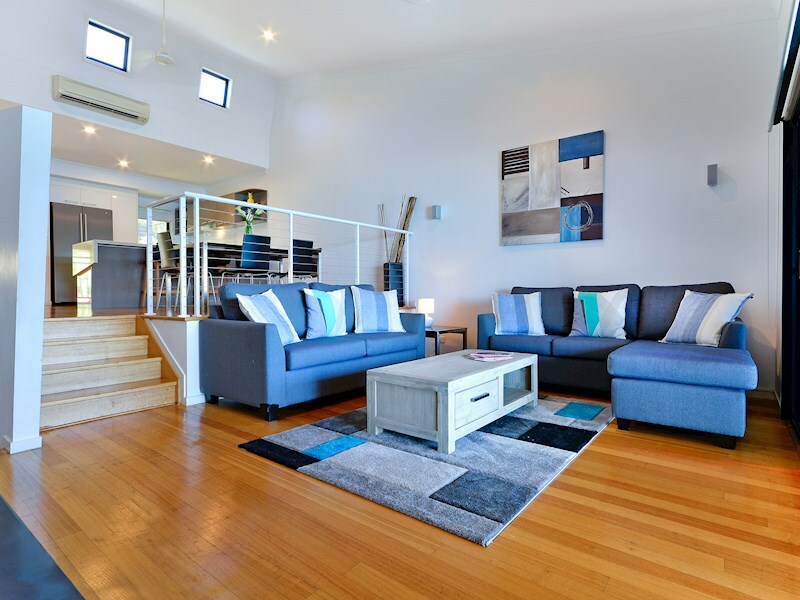 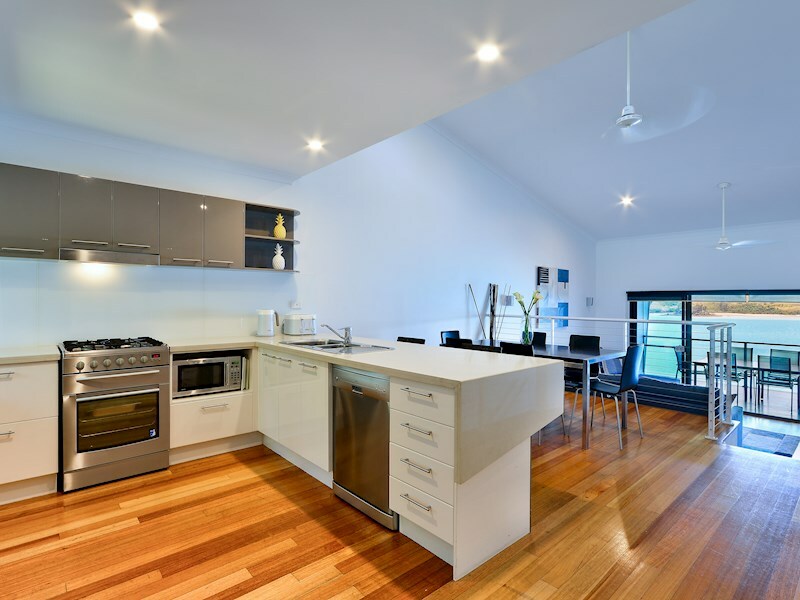 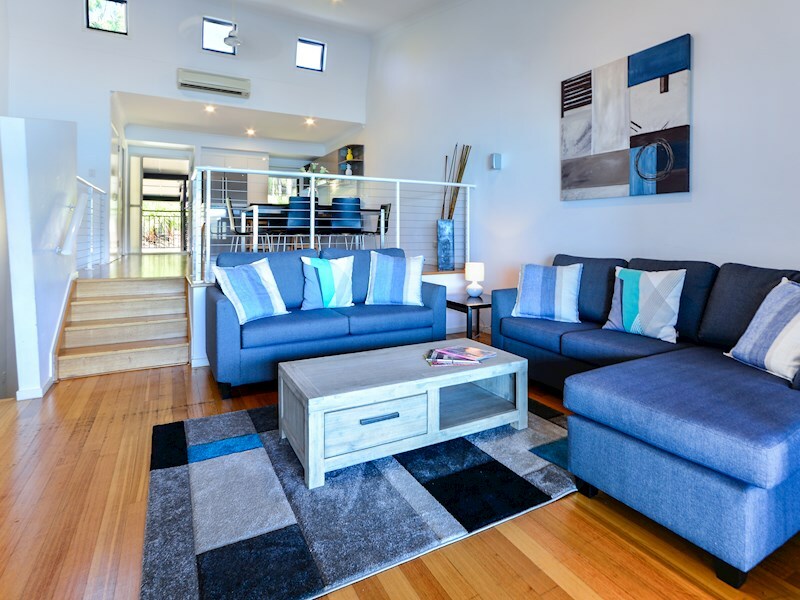 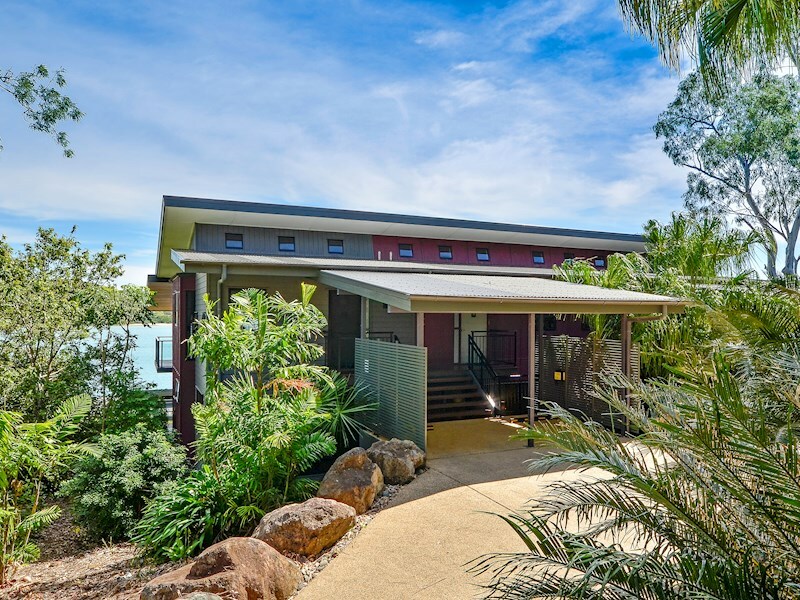 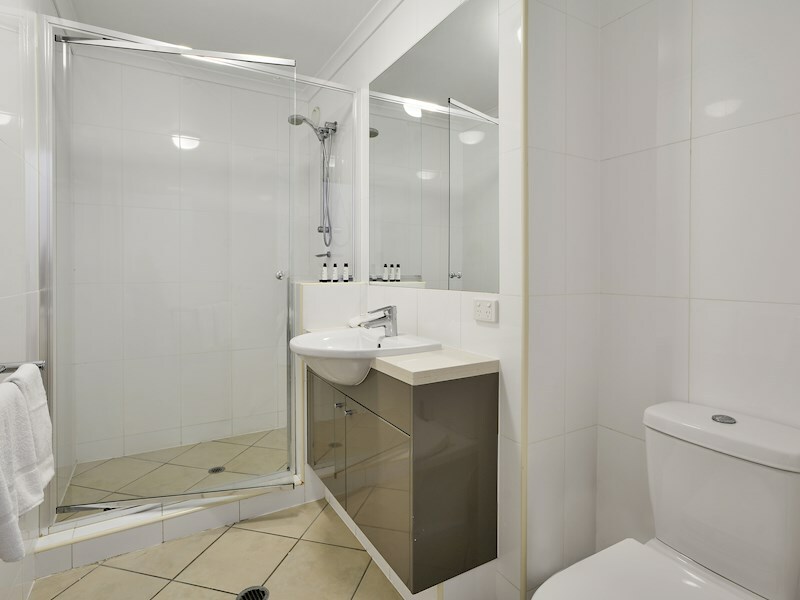 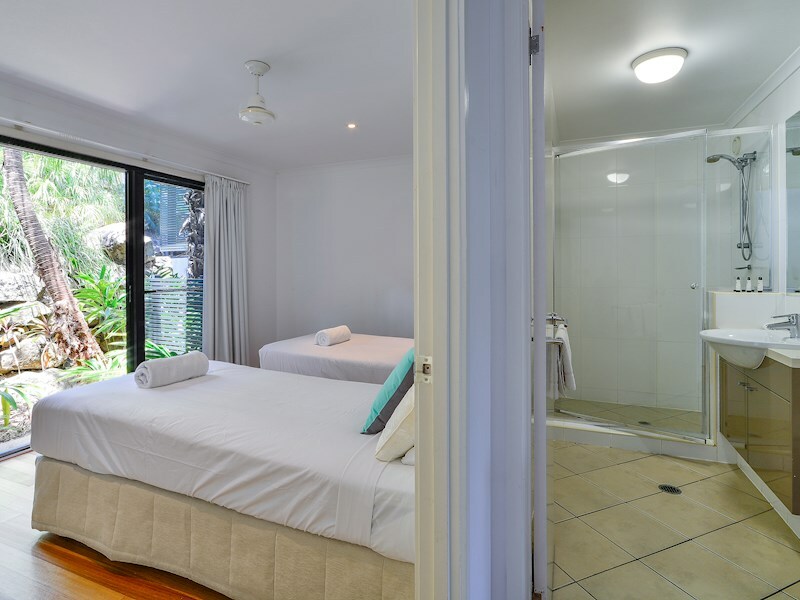 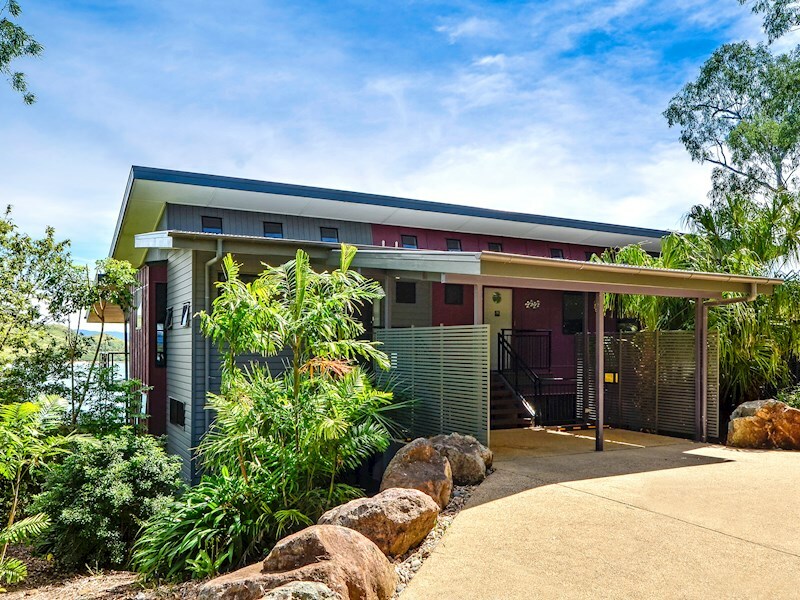 This apartment features all the comforts and conveniences you need for a memorable holiday, including air-conditioning, a plasma TV, DVD player, and bright, modern interiors.